Roman Reigns is one superstar who needs no introduction in the world of wrestling today. He is both loved and hated by an equal number of wrestling fans around the world. However, most of the hate is stemmed from the booking decisions of the WWE creatives and the chairman of the WWE rather than his own wrestling skills. Skill-wise, there is little doubt that he is one of WWE’s better wrestlers. Along with that, he is one of the few men with incredible explosive power in the ring, and stamina to last long and extremely physical bouts in the ring. He has shown time and time again why he is referred to as The Big Dog and has the strength to take on any superstar in WWE’s current roster. While all of WWE’s fights are performed in kayfabe, it’s a fact that the men performing in the ring require actual power and strength to perform the moves they have to near perfection and ensure they don’t injure themselves and their fellow wrestlers in the process. 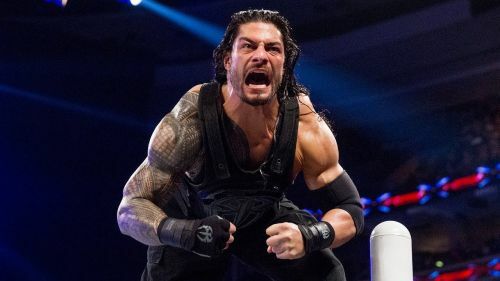 Let’s take a look at 5 of the most incredible displays of strength by Roman Reigns in the WWE, and let you decide if he is indeed one of the most powerful men in the WWE roster today. Roman Reigns has faced many large opponents in his career and managed to come out on top time and time again. However, he faced one of his biggest threats in the Strongest Man in the World. Mark Henry is no ordinary wrestler, and along with being large, he is also extremely strong and dangerous. Barely one or two wrestlers in the WWE can match his strength, which has been showcased by the company on many occasions. The 6’4” 340-pound Mark Henry faced Roman Reigns on many occasions between 2014-2015. In that time, both superstars got a chance to display their skills and strength. Roman Reigns Superman Punched the large man and even speared him on many occasions. However, the most impressive move was to watch The Big Dog Samoan Drop the 340-pound man with each on multiple occasions. On an episode of SmackDown in 2015, we even saw him spear The World’s Strongest Man through the barricades, with is surely a clear indication on the strength the man possesses.